You will be sent an email with a unique link to reset your password (please note the link is only active for 12 hours). If the link expires, please repeat the above steps. Once you've set a password, this is your online account now "activated". This means you can log into the members area and also 'login' when prompted for things like booking event tickets. Whenever you log in as a member, your ‘username' will always be your email address; your password will be whatever you chose as part of the above process.. I am delighted to announce that the Royal Marines Association and The Royal Marines Charity have merged today. 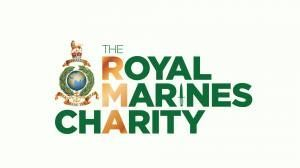 The legal name of the Charity will be ‘Royal Marines Association – The Royal Marines Charity’, with a routine working name of ‘RMA – The Royal Marines Charity’. This has been a long but important journey for both charities, which has seen us going from a competitive relationship through co-existence to cooperation, to coordination, to convergence and finally merger. We are now one charity, whose primary purpose is ‘to be the instinctive first port of call for support for the whole Corps Family’, whether that be to celebrate ‘bootneckness’ through RMA membership and participation in membership events, to finding help in a moment of need via the very broad welfare service that we provide, and on to those who wish to give a bit back by raising funds for the ‘RMA - The Royal Marines Charity’. This merger has been seen by other charities as genuinely trail-breaking, as it has sought to implement guidance from the government and the Charity Commission, whilst finding a way to deliver a more effective service to the whole Corps in a more efficient manner (saving money on back-office bureaucracy to spend on beneficiaries). The merger has also enabled some bold decisions, like stopping membership subscriptions, which has allowed access to our regimental association for all members of our Corps Family regardless of their personal financial means. The merger has proved to be legally and financially complex, but (with your support) we have found solutions that were suitable for both sides. With the merger comes a revitalised brand and logo. The new logo seeks to ensure prominence of the Globe and Laurel, which unites the two charities and the Corps, whilst also representing the centrality of the RMA within the merged charity, the importance of our charitable endeavours and the inextricably interlinked nature of the two entities. The use of the ‘Old Gold’ colour for the RMA letters represents the enduring value of the membership function in all that we do. This merger has been vital to ensuring that we deliver the most effective and efficient support to our members and the wider Corps Family, now and into the future. I believe that we now have a sector-leading Association that truly embodies our determination to become the instinctive first port of call for comradeship and for giving a lifetime of support to the Royal Marines Family. What does it mean for you? One important change is that RMA Ltd, will now become a shell company. This means that your Membership of RMA Ltd (from a Companies Act perspective) is terminated in accordance with paragraph 9.3.1 of the Bye-Laws of RMA Ltd. However, please be assured that you remain a valued member of RMA – The Royal Marines Charity. As previously reported, the whole of the RMA Membership Team is now based at the Commando Training Centre, the home of the Royal Marines. Richard Spencer will now become Director General – Membership, and will work closely with Richie Puttock and Phil Gilby to ensure that support, advice and friendship continues to be delivered to all Members and Branches. The Welfare and Finance functions of the RMA remain in Portsmouth. We are delighted to welcome our new Membership Secretaries, Jane and Sheridan, whose job share provides full-time support to members and branch officials from their new office in CTCRM. With the exception of Jane and Sheridan, you will continue to work with the same people in the Charity that you have in the past. All of our people are being retained in their current roles. Please note that contact details for the Membership Secretary have also changed: the email is [email protected]; the new phone number is 01392-414360. Our address will be: RMA – The Royal Marines Charity, Commando Training Centre Royal Marines, Lympstone, Exmouth, EX8 5AR. It is now about 6 months since I took over from Mike Ellis as Chief Executive of the RMA. I wrote to all members on the day I took office and have communicated broadly on a number of issues since then. However, I am acutely aware that I have not communicated with all of you directly, so now seek to make amends. Over the past 6 months, I have been focusing on trying to understand what the RMA is, how it does its business and how it could move forward to make it even more relevant and integrated into the wider Corps Family. I have visited a number of branches and attended most of the Regional AGMs. In doing so, I have taken the opportunity to promote the ideas of the Trustees, on whose behalf I work, and to listen to the concerns and ideas of members. So, I thought it would be worthwhile to write to you as one of the leaders of the RMA to update you on a number of topics of mutual interest. RMA Central Office Finance Procedures and Rules. These have now been aligned with TRMC and RNRMC procedures. Consolidation of branches for accounting purposes. Currently, HMRC and auditors treat RMA branches as autonomous financial entities. This is in part what determines the £5000 annual ceiling on branch income. Consolidation will remove this ceiling from branches, but will make the branch financial returns even more important as our Annual Report risks being ‘qualified’ by Auditors if we do not submit a complete report, which is not good as it invites additional and time-consuming questions. On merger, branch property (including buildings) will also be consolidated as assets of the merged charity. This means that the merged charity will also accept responsibility for any liabilities, including insurance, maintenance etc. However, this does not give branches or regions carte blanche to order new property, this would need to be approved by Central Office, nor does it infer that Central Office will pick up routine non-maintenance or consumables costs (e.g. printer ink and paper). Immediately prior to merger, there will be a need to conduct a full asset check, including up to date bank statements on all bank accounts etc. More to follow. VAT. As explained in the newsletter of 29 Oct 18, the payment of national subscriptions induces a VAT liability on the RMA. This VAT liability would have been inherited by the merged charity post-merger. However, the cessation of national subscriptions and the shift of donations to TRMC has now allowed us to de-register for VAT, as an additional benefit of the ability to grow the RMA by removing the obstacle of having to pay national subscriptions. Following the recent budget, VAT thresholds remain at £85,000 until 2021. Consequently, it is not intended to change the policy which currently permits branches to require branch subscriptions, for the time being. RM Shop. The RM Shop’s finances have been assessed and it has been confirmed as a ‘going concern’. Financial Viability of the RMA. There were misperceptions about the long-term financial viability of the RMA Membership function. These have been assessed and, as briefed at the AGM, it has now been accepted that the financial risks concerning the RMA Membership function are manageable, and will be underwritten by the merged charity and the transfer of RMA investments. Data Protection. The Central Office data has been assessed and confirmed as wholly compliant. Some concerns remain about the security of the data held by branches and regions outside the Central Office database. These have been assessed and, whilst they are deemed acceptable, some more work will need to be done to improve data security in branches and regions. More to follow in due course. This will now be developed into a range of products for branches to use as templates for letters etc. Please be assured that in the same way as we do not use the current RMA logo on branch standards etc, we only be using this new logo for marketing and communications purposes. Timeline for merger. Following the mitigation of the risks outlined above, RNRMC trustees agreed to the merger and the revised Articles of Association (the legal basis of the merged Charity) on 31 Oct 18. RMA has now applied to de-register for VAT, and the precise timing of merger will be determined by their response. It remains feasible to merge on 1 Jan 19, but this could slip to 1 Apr 19 if HMRC require more evidence. In the meantime, we continue to progress a couple of outstanding mitigations on: the two branches that own their own property or have a social club associated with the branch; and the use of the word ‘Royal’ in our title, which requires Cabinet Office approval (we have already received approval to use ‘Royal Marines’ from the MOD). 2019 Events. The following events are currently being planned by the RMA at national, regional or branch level. Clearly branches and regions will want to organise their own events. In doing so, you are requested to bear the following in mind. These need to be planned and programmed well in advance (preferably at least 6 months), especially if you would like support/attendance from Central Office staff or the serving Corps. Central Office is happy to add your events to the published Corps Calendar of events on the RMA Website. Support of Serving Corps. If you would like support from the serving Corps, please bid via the Central Office, noting that we will probably be asked to pay for the cost of these, especially if the movement of equipment is involved. Recently, we were asked by one branch for a troop scale cliff assault demonstration from the sea. This would have involved the low-loading of 3 x Offshore Raiding Craft to and from Plymouth at a cost of £5000 each, before we had even started to consider travel and subsistence of the RM troop. This is clearly unaffordable at national level. With sufficient planning time, opportunities in unit programmes can be exploited, and Central Office can help negotiate these. Royal VIP Attendance. A number of branches have approached the Palace directly requesting the presence of members of the Royal Family at events. This has resulted in a number of terse letters from the Palace to Central Office indicating that they will only consider requests approved by CGRM. Therefore, all bids for Royal Support must be requested at least 12 months in advance in writing to the Central Office. These will then be discussed with CGRM’s office, noting that the whole Corps Family is only likely to get 2-3 such visits per year and these include attendance at the like of Mountbatten Festival of Music. Feel free to discuss ideas with Central Office (Operations Managers) before drafting any letter of request. Additional Funds. There appears to be an unwillingness for branches and regions to approach Central Office for financial assistance in the delivery of branch or regional membership events. Central Office is willing to consider such requests where they are deemed to contribute to the delivery of the charitable objects of the RMA. Justified bids should be sent by email to Central Office at least 6 months prior to the event in order that the necessary approvals can be obtained from the Finance & General Purpose Committee and RMA Board, if necessary (noting that they meet quarterly). A key determinant on whether such requests will be agreed will be how active the branch is and how much it has contributed to the fundraising efforts of the RMA and TRMC in the past. As a rule of thumb, branches can routinely request 10% of any funds raised for the RMA/TRMC. Grants in excess of this will be considered on merit. Buy goods through the RM Shop (which has a licence or buys from licenced wholesalers). The RM Shop can procure bespoke items for branches, within reason. Buy the goods from a licenced retailer, noting that most wholesalers/retailers of RM branded goods are operating illegally without a licence and are being reported to the MOD for investigation and prosecution. It is in our interest to use the RM Shop as all profits are returned to the RM charities. Theme Park Tickets. Most RM units have local theme park tickets for use by RMA members, paid for by the RMA. A note will be issued shortly to branches giving details of which units have what tickets. RMA members are encouraged to use them for themselves, their children or their grandchildren, noting that they must be signed for by an RMA member. They are only available for collection in person and must be pre-booked in advance. Details to follow. Homeport. Many of you will have noted that the RMA has stopped supporting the Naval Families Federation Homeport publication. This is due to a change in policy by Naval Families Federation, which only supports serving members and their families not veterans. Membership Communications Strategy Review. This has left us with a gap in our routine communication with members, beyond the routine RepNet published weekly. The membership communications strategy is therefore under review and your thoughts on how we can best communicate with all members would be most welcome. It is recognised that mail is still the preferred medium for those who have not and are unlikely to ever have an email address. In the past 7 months, we have spent c.£6000 writing to such members on critical issues (AGM x 2 and the change to subscriptions). We will also be sending them all a Christmas card with a newsletter in December. RepNet. The RepNet has recently been updated, alongside the website. Whilst this our preferred means of communication (as its virtually free), it is clear from the phone calls following the recent announcement about subscriptions that many members do not read this. Why not? Communications with Central Office. Many/most branches still seem to prefer to communicate with Central Office by letter. Please note that this is slow and expensive for the branch. Furthermore, we have no means of filing such routine correspondence in an effective manner as we are geared up for electronic communication which is cheaper, faster and more manageable. When you want to correspond with Central Office, please do so by email to the list of email addresses attached. Using RMA buckets and tins displaying the RMA Charity Number. All funds raised in such buckets and tins must be sent to Central Office. Please note, that from 9 Nov 18, any remaining buckets/tins must not be used and any tins currently out in the community are to be withdrawn and funds sent to Central Office. These can be replaced by TRMC buckets and tins by contacting their crowdfunding team on [email protected] . Similarly, 100% of any funds raised in TRMC buckets and tins must be sent to TRMC, stating which branch they have come from. Using Branch Subscriptions and Branch Fundraising Buckets and Tins. These funds held in the ‘Branch Main Account’ can be raised and retained by the Branch; after the merger the £5000 annual limit will be removed as branches will have been consolidated for financial purposes. However, branches need to be cautious about how much money it holds for which there is no specified purpose. The funds raised in this way (using the RMA name) are for the delivery of the charitable objects of the RMA and should not be accumulated without a clearly identifiable reason. These funds held in the Branch Main Account are to be reported to Central Office as part of the Annual Financial Return. Using Branch Members donations for Specific Events. This is in effect the ‘Branch Social Fund’ designed to spread the cost of specified social events (Corps Dinner, Christmas Dinner, planned days out etc). The routine branch raffles etc would all be appropriately retained in this fund, along with any regular ‘set-aside’ scheme designed to allow members to pay for events in advance. This is not to be used as a general slush fund as it is immoral (and potentially illegal) to raise funds from members for which there is no specified purpose. Other than branches that own buildings (none after merger), there is no need for branches to hold a reserve that exceeds its annual turnover. Please note that prior to merger, all accounts held by branches and regions will need to be reported to Central Office, supported by recent statements. Thereafter, only the Main Branch Account will need to be reported as part of the Annual Financial Return. Membership Issues. It is hoped that the recent communication regarding subscriptions has clarified the situation on membership categories. Honorary Membership. Following recent requests, the procedures for seeking Honorary Membership for deserving individuals not otherwise entitled to be members of the RMA needs to be clarified. Branches should nominate the individual to the Regional Ctte in writing for ratification, citing reasonable justification (strong supporter, influential pillar of the community etc). If ratified by Regional Ctte (and this can be achieved out of committee by email), then the nomination is to be forwarded to Central Office for consideration by Trustees at either F&GP or Board. Once agreed by Trustees, the Chairman of the RMA will write to the individual offering his thanks and recognising the individual’s good works with the award of Honorary Membership. Members of Branches. Cases have recently been reported of RMR and RM Cadet Instructors being refused branch membership, along with some Associate Members. Any member, regardless of category, should expect to be welcomed into any branch of the RMA. If a member applies to join a branch but that branch does not wish to accept that member, then this is to be discussed with the Regional Committee in the first instance and if necessary then with CE RMA. Branches must support their objection in writing citing sound moral or legal reasons not to include any member of the RMA into their branch. National Honours. This will normally be for a BEM, MBE or OBE. The process is managed by Central Office. Nominations should be made by the Branch Chairman to the Regional Chairman and if supported then forwarded to CE RMA, who will then compile a national list of potential nominees, noting that gaining more than one such award every two years for the RMA will be challenging. Trustees will consider the most deserving nomination and submit not more than one nomination for National Honours to the Cabinet Office every 6 months. Please note that National Honours must be discussed with the utmost discretion and must not be discussed at branch or regional committees. CGRM Commendation. If it is decided at whatever level that a nomination is unlikely to succeed in gaining National Honours, then that nomination will be considered for a CGRM Commendation. A similar process will be applied to agreeing to a CGRM Commendation, with CGRM being the deciding officer. CGRM normally presents these in person to the individual in Portsmouth. As a planning figure, it would be hoped to submit up to 10 such awards each year for consideration. RMA Chairman’s Commendation. If it is decided at whatever level that a nomination is unlikely to succeed in gaining National Honours or CGRM Commendation, then that nomination will be considered for a RMA Chairman’s Commendation. A similar process will be applied to agreeing to a RMA Chairman’s Commendation, with RMA Chairman being the deciding officer. The Chairman will normally present these in person to the individual at the AGM. As planning figure, it would be hoped to make up to 10 such awards each year for consideration. All the points made above are in the process of being written into draft revised RMA Member Bye-Laws and draft revised RMA Branch and Regional Bye-Laws. These will be circulated to branches for comment, with a view to accepting them at the 2019 Annual Meeting. You are probably aware that on 25 May 2018, new Data Protection legislation comes into force in the UK. The General Data Protection Regulations (GDPR) build on the existing Data Protection legislation to help ensure your data, and that of your Branch members, is handled according to the individual’s wishes. Contrary to what you have probably been experiencing in the last fortnight or so, the Royal Marines Association is not seeking members’ consent to contact them or to continue using their data because the Association only uses it for the legitimate purpose of providing them with information in respect of their membership, forthcoming events and other matters relating to RMA activities and offers. In other words, an individual’s consent to be communicated with about RMA business is implied & inferred by belonging to a membership organisation, and because all those who use computers can change their communication preferences themselves on the RMA’s website; those not online can ask Central Office to do it for them. As a Branch Secretary, the same assumption applies to your use of your members’ data. You can continue to use your members’ data as before, but you must keep that data secure and should not pass it to a third party unless legally obliged to do so, or the member has given his/her express permission for this to be done. Please note that If you extract membership data from the RMA website, you will need to password protect/encrypt the file and/or delete it as soon as you are finished with it. 1. RMA Central Office uses data to record individuals’ involvement with the Association, and to manage their membership. Since your Branch members all belong to the RMA, their data is used to communicate with them regarding Branch activities that may be of interest to you. 2. Branch Members have the right to know what data is held about them, and how it is used. 3. Branch members have the right to ask the Branch Secretary to update and/or delete all personal data without undue delay in certain circumstances. 4. Members have the right to opt-out from information about RMA communications and can do this though the RMA website. Those not online can telephone RMA Central Office and ask the Membership Secretary to assist them with this statutory right. 5. RMA Central Office will keep the GDPR requirements under regular review to ensure the Association and its Branches comply with the necessary regulations and legislation. As Commandant General and as President The Royal Marines Charity, am writing to thank you and all the members o' the North Devon Branch of the Royal Marines Association for your continued fantastic support to The Royal Marines Charity. I have been told that your latest donation of £6,549, raised at your annual Sainsbury's Cyclathon. has brought the total raised through this initiative since 2011 10 a magnificent E76.OOO — this makes North the most generous geographical Branch donor to the Charity. comradeship and to support those members of our Corps Family who are in need. This is a magnificent achievement of which you should all rightly be proud. Though fundraising is not the prime purpose for the Branch's existence. it is making a real difference ta the Charity. Last year. the Charity's direct grants to wounded and sick serving Royal Marines totalled over £120.000, with £30,000 to the bereaved: while £320,000 was distributed to veterans in need, a further £t20,000 was donated to ensure the Royal Marines Association's Support Network provided appropriate signposting and assistance to veterans, and £100,000 was provided to support a service responding to those battling post-traumatic stress, many of whom are tempted to commit suicide. This was part of a total £l .9M distributed throughout the year. One recent example of the help given is the purchase three new prosthetic arms for one of our triple amputees, Jon White, who was injured by an improvised explosive device in Afghanistan in 2010. These arms, one for general purposes. one for rowing and one for lifting weights, were made and fitted in the united Stales tor $13,750. We simply do not have a large enough number of complex amputees in the United Kingdom for development of the necessary skills to make and properly fit the high-quality sockets end prosthetics required - hence we cannot access NHS facilities or funding, and choose instead to send our Marines to the United States. Your gilt has reimbursed us tor this grant, allowing us to support others. In return, Jon often speaks on our behalf and raises funds, whilst studying Clinical Psychology, so he can help others who have been physically or mentally scarred. Jon epitomises the Commando Mindset, to understand, respond and adapt to challenges whatever they are, and overcome them. To be able to achieve support like this through the generosity of supporters like yourselves is wonderful, and it is always heartening for that support to come from other Bootnecks. Please pass on my thanks and congratulations to all your members.